Based on Sun's OpenWindows/OpenLook UI... 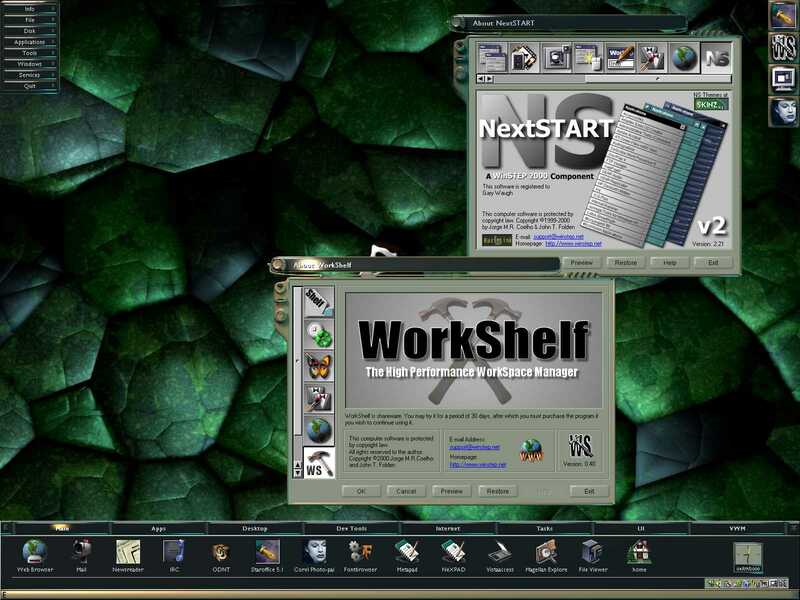 Requires NextSTART 2.2/WorkShelf 0.32 or higher! Updated:Now includes Clock theme. WB skin also available. Derived from the look of Enlightenment DR13. UPDATE: Now includes skin for Winstep clock module. 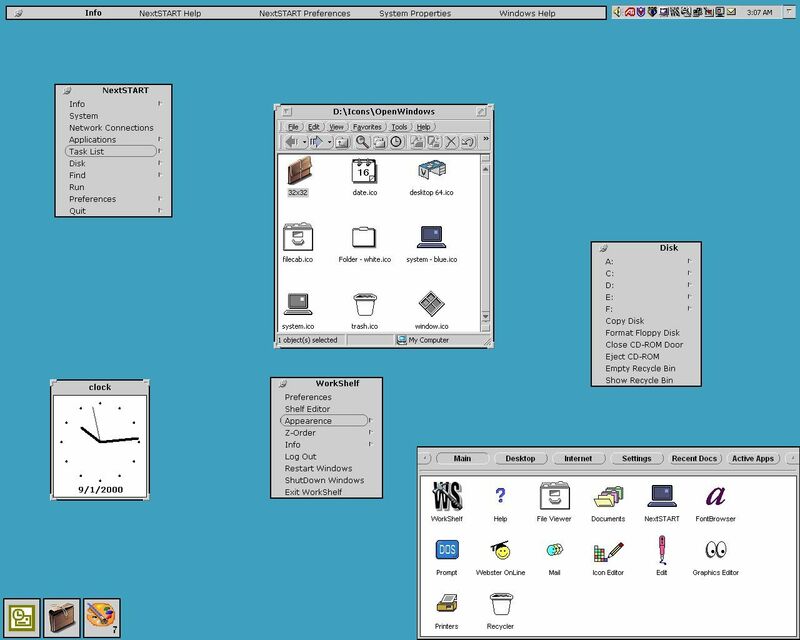 Simple OS X Server theme for WorkShelf 0.40/NextSTART 2.2 or higher. MacOS X DP2 skin for WB also pictured. 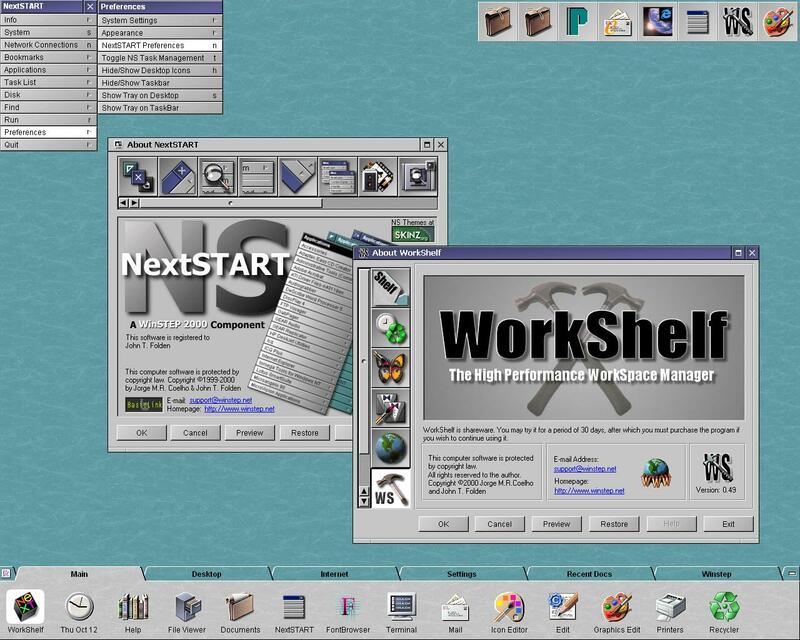 NeXT/OPENSTEP v4.0 EUI style integrated theme that REQUIRES WorkShelf 0.49/NextSTART 2.2 or higher. Matching WB theme also available. Delete older NS2 theme if you have it. Now includes clock theme!